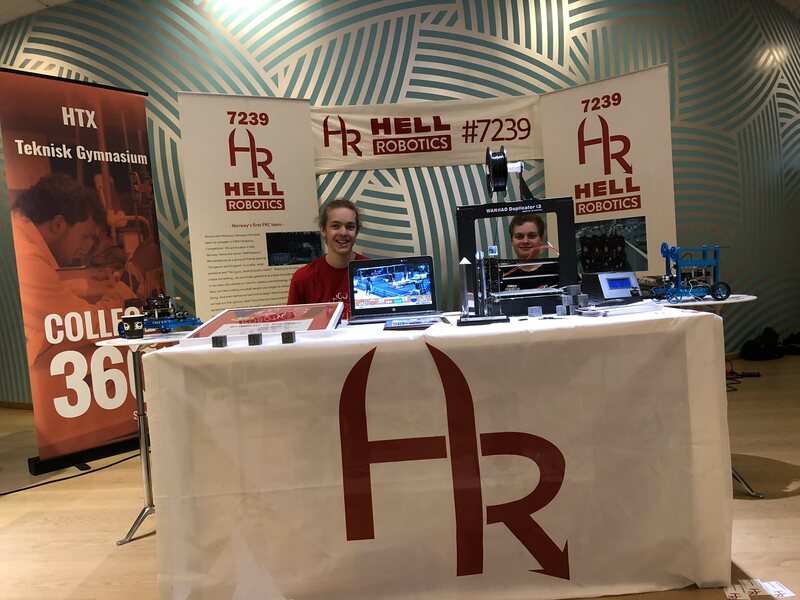 Yesterday, the 1st of December, Hell Robotics and the Danish FIRST Global team were at the FLL Scandinavian Finale in Fornebu. We had lots of fun and met loads and loads of people. This is what the pit area looked like, showing visitors the different projects we have been doing the last year. 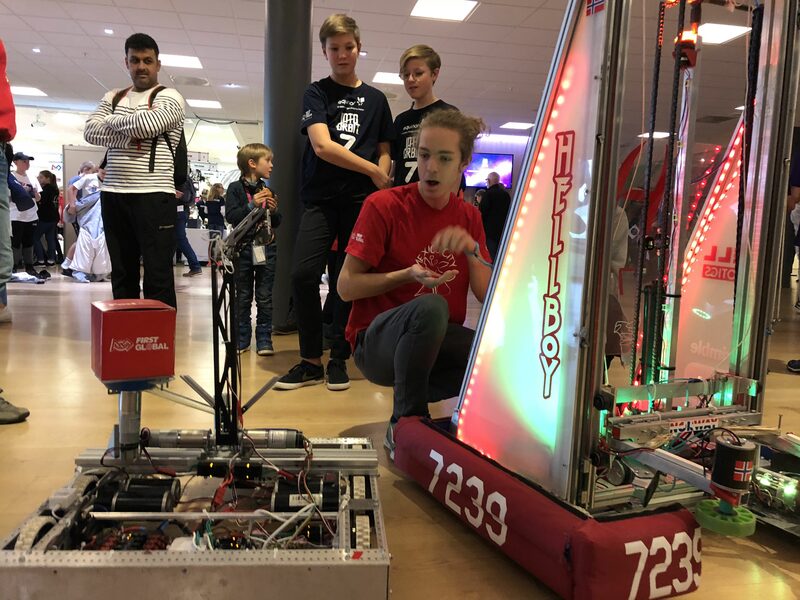 The Danish and our own FGC teams were also showing off the robots that were used to compete in Mexico City this year. 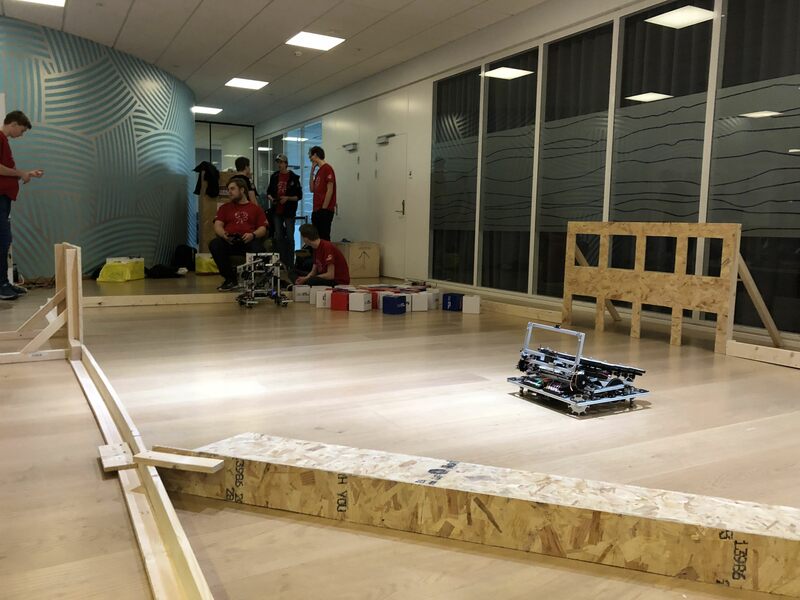 We would like to thank all the teams who participated, and FIRST Scandinavia for allowing us to join them for the day. 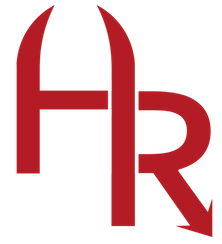 Thank you for an awesome event! 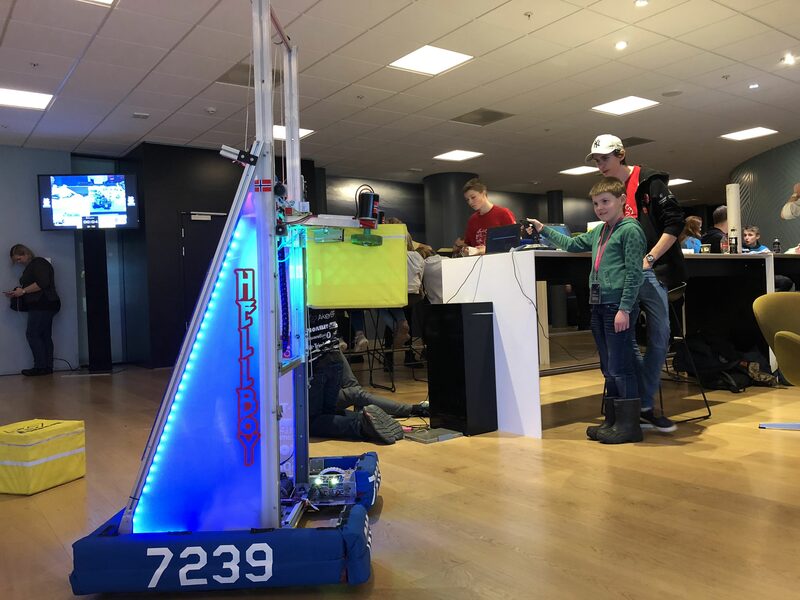 Previous Post FIRST Lego League Scandinavian Finale Next Post We’re ready for two FRC regionals!